I thought it was mostly bits of skin and bugs and whatnot. But if that were the case, then when I’m away from my house for days in a row, there should be a lot less “new” dust than there is when I’m here a lot. Isn’t it fun when science echoes the movies? Over the decades, many theories have been offered to explain what caused the demise of the Neanderthals, ranging from climate change to simple bad luck. In recent years, though, it’s becoming increasingly clear that, as Pääbo put it to me, “Their bad luck was us.” Again and again, the archeological evidence in Europe indicates, once modern humans showed up in a regions where Neanderthals were living, the Neanderthals in that region vanished. Perhaps the Neanderthals were actively pursued, or perhaps they were just outcompeted. The Neanderthals’ “bad luck” is presumably the same misfortune that the hobbits and the Denisovans encountered, and similar to the tragedy suffered by the gian marsupials that once browsed Australia, and the vaied megafauna that used to inhabit North America, and the moas that lived in New Zealand. And it is precisely the same bad luck that has brought so many species — including every one of the great apes — to the edge of oblivion today. 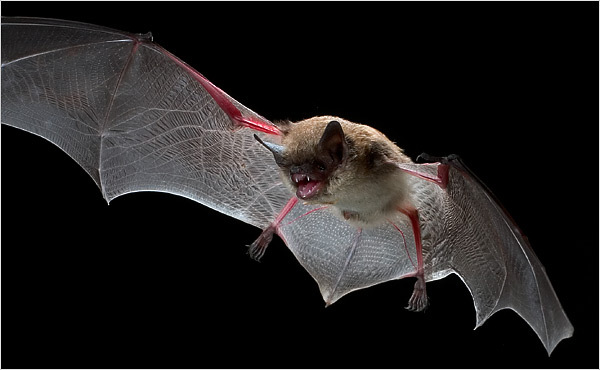 In what is one of the worst calamities to hit bat populations in the United States, on average 90 percent of the hibernating bats in four caves and mines in New York have died since last winter. Didn’t we just go through a similar crisis with bees and other pollinators, and also with songbirds? It’s a bad time to be a small flying critter.